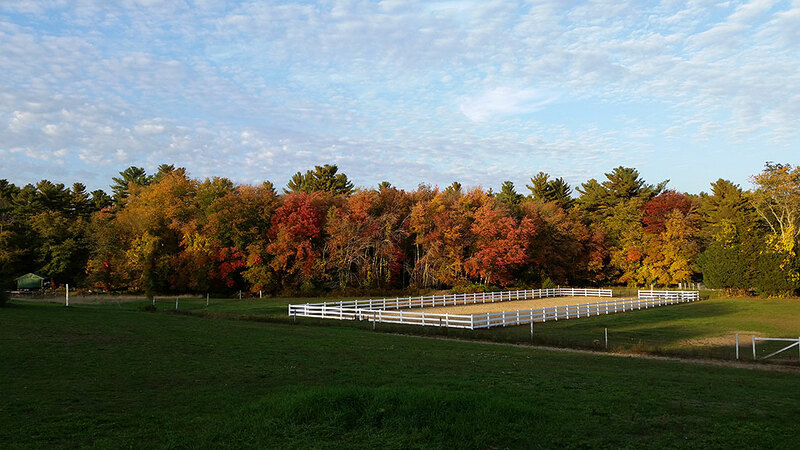 Fairfield Farm located in Rochester, Massachusetts offers dressage training, indoor and outdoor arena, riding instruction, well trained horse school, your horse or ours, pony rides, boarding. View of the barn from the driveway! 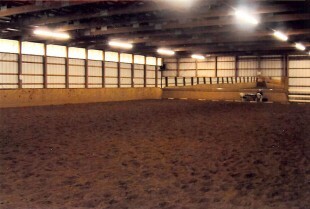 Fairfield Farm features a 72′ x 144′ mirrored indoor riding arena, 18 stall barn-12′ x 12′ box stalls with stall mats and an insect control system, tack room, rest rooms, grooming stall and office, heated tack room with viewing windows for the winter, fans in the aisle for the summer, 70′ X 200″ fenced outdoor riding arena, access to nearby trails, cranberry bog roads and daily turnout in pastures and paddocks. Next to our outdoor ring, we have added a 60 foot round pen to aid riders in lunging and training for outside show preparation. 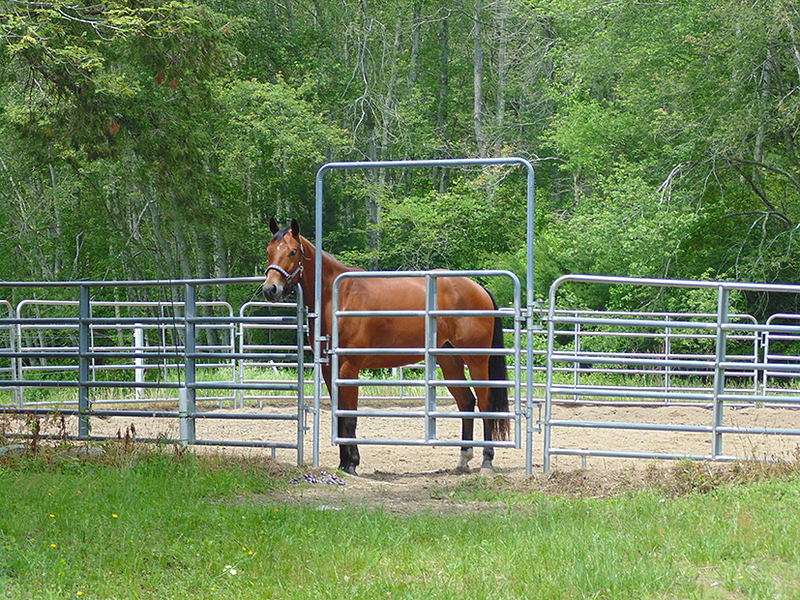 12×12 Boarding stalls are available with insect control and your choice of turnout options. 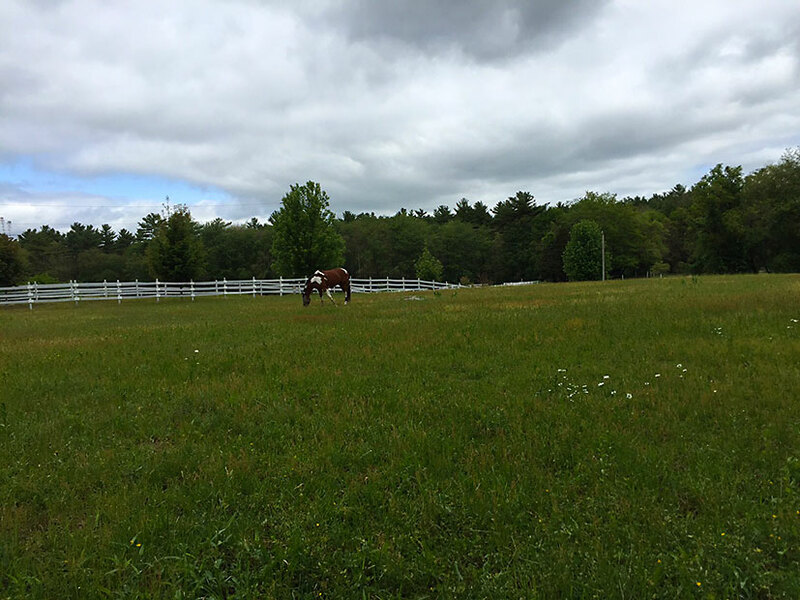 At Fairfield Farm we take great pride in the care and well being of our sport horses. 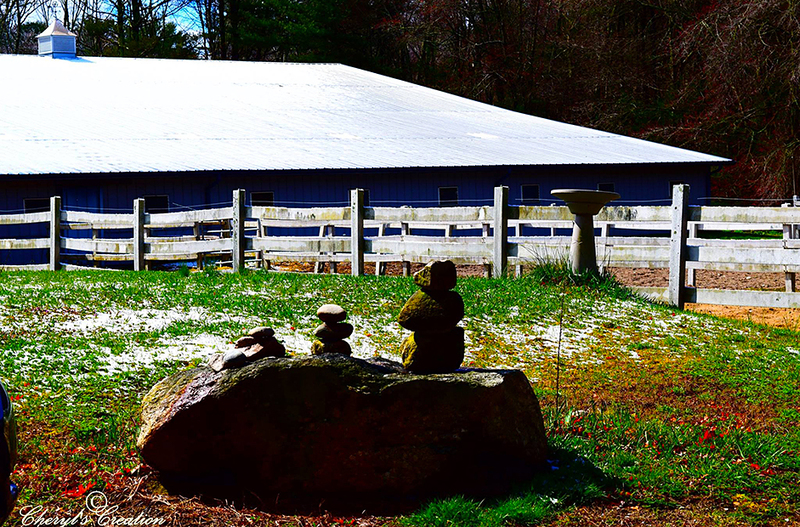 Our feed and bedding supplier has been with us for 20 years and understands our needs. 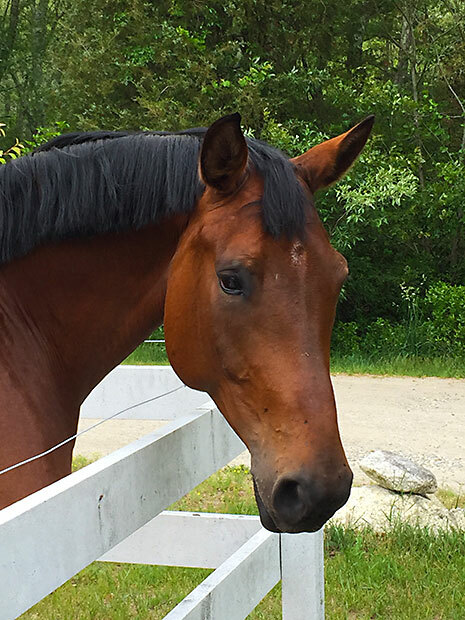 Our farrier has cared for our horses for over 25 years and our on going working relationship with our veterinarian provide us with excellent resources. 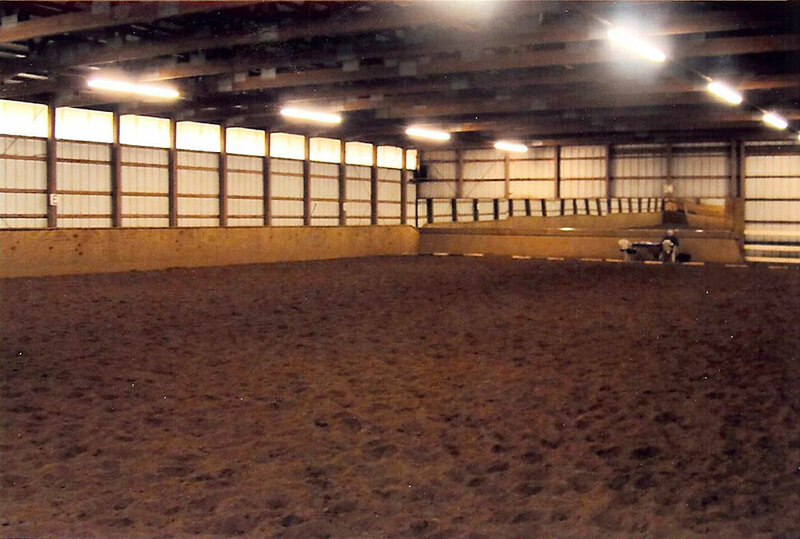 You have TIME to ride in our 72′ x 144′ INDOOR RIDING ARENA because we do all the horse care or ride outdoors in our large arena (66′ x 198′). 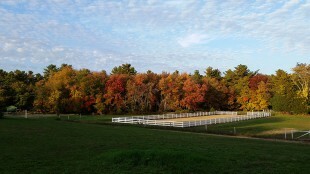 You can also enjoy many riding trails. BOARDING is worry free at Fairfield with supervision 24/7, the best care and feeding in large airy stalls with lots of bedding and daily turnout in paddocks or pastures. 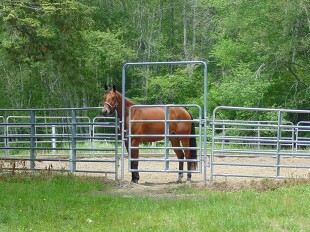 Its a TOTAL SYSTEM of care with excellent resources- vet, farrier, etc.